Have you ever thought about having a New Year's eve wedding? Imagine the whole world celebrating it with you. How awesome would that be? So then you need some great ideas to plan a New Year's Eve wedding, correct? Coming right up in the following article. There are probably only a handful of people who don't like to celebrate New Year. Most will plan something for the eve and celebrate the event with great pomp just as the whole world does. But what if there was another reason to celebrate the day/eve other than just the beginning of a brand new year? Wouldn't it add to the excitement? We don't talk about any minor event here, what we are in fact hinting at is having your wedding on New Year's Eve! A New Year's Eve wedding simply means that you will celebrate a whole new chapter of your life with the whole world rejoicing and having fun. Isn't that a great idea? So then if you are someone who is searching for dates to get married, New Year's Eve or the 31st of December is one of the most perfect and most romantic days you could ever choose. You can have your wedding reception followed by a new year bash and make some great memories each year. If you are considering this idea, we have a few wedding ideas on New Year's Day for you to choose from. Take a look. These weddings are not difficult task to organize. If you are worried about your friends and family already having plans for the New Year, I am sure they would love to see you get married and then party at your wedding reception itself (picture an amazing beach wedding along with a New Year party)! Plus, you're saving them the trouble of hashing and re-hashing plans of celebrating the New Year. As far as the planning-a-wedding-on-New-Year's-Eve is concerned, it is not very different from any other wedding. In fact, getting married on the 31st of December will only help add to the choices of wedding themes, decorations, invitations, venues and even the food served. The general mood of celebration and pomp can be incorporated into the wedding theme which will give it a whole new angle to work on. The theme of the wedding is what will set the mood for that special day. Depending on how open you are with experimenting with new themes, there several new ideas that you can introduce in your wedding. In this following section, we will look through the different ways in which the theme of the 'New Year' can be included in the wedding of your dream. One of the simplest, and yet one of the most effective ways of setting a theme for your wedding is to zero in on a color scheme. When that is done, you can make use of the same and carry it through to most things like decorations, invitation cards etc. Since the 'New Year' is a specialized theme, you can choose a color scheme accordingly. 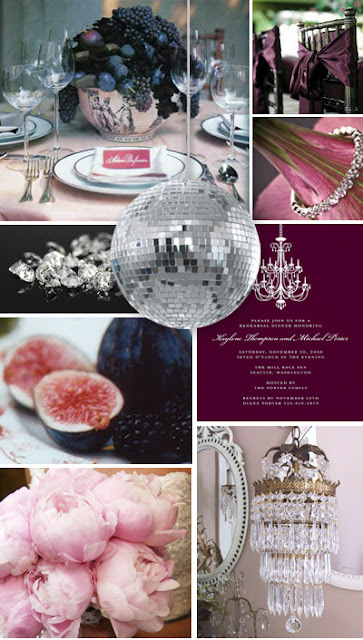 Bold colors like fuchsia and mauve teamed with white and silver can give that extra feel of the New Year. Where would you like to bring in the New Year with your spouse? The beach, a mountain plateau, a scenic vineyard? The choices are several. Combining your wedding and the New Year deserves a grand location, don't you think? You can give a serious thought to hosting a beach wedding, a wedding on a mountain range overlooking a picturesque valley or even a wedding set in a vineyard. Alternately, you can have a formal wedding at a church and then have one of the receptions at one of these locations. The first arrangements which are usually made while planning a wedding are making a guest list and sending out the invitation cards. The invitations for it can carry a request to attend the wedding, then the reception and then onwards a New Year's party where all your guests can have a wonderful time. Set a late evening time for the wedding and decide a party dress code like semi-formals and cocktail dresses. 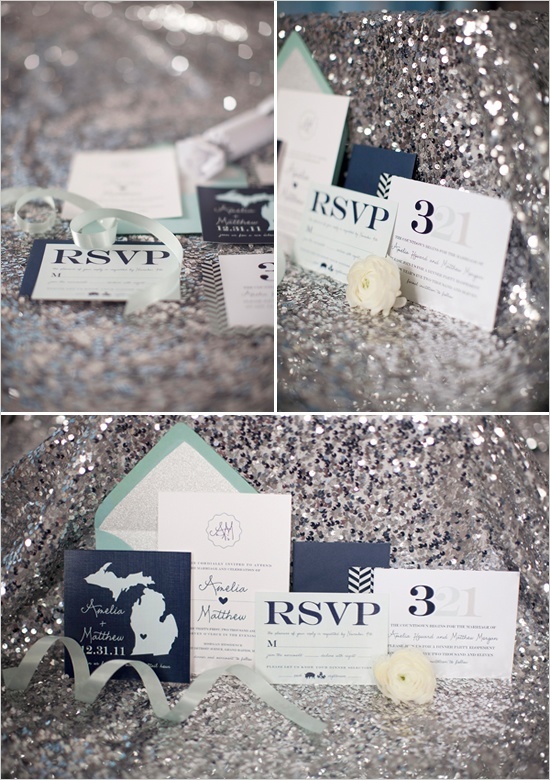 If you have chosen a special wedding color scheme then the wedding invitations can also carry that theme through. Thus making the whole deal more attractive and exciting. Add in traces of the 'New Year' by using designs like party hats, confetti and the like in your invites. After sending out the invitations, you can decide on how you would like to decorate your wedding venue. You can surely use wedding flowers depending on the color scheme that you have chosen for the church decoration, but for the reception you can choose a more informal and fun theme. You can decorate the venue like a club with funky disco lights, streamers, and other decorations that you deem fit for the double theme of New Year and the wedding. You can decorate the dance floor with balloons and LED lights so that the party mood is all set after the wedding. 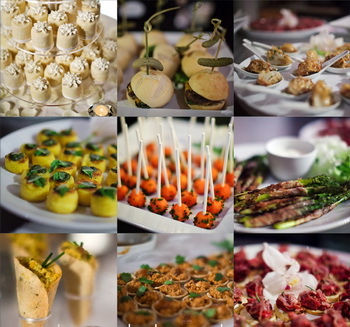 A wedding after-party cannot be complete without serving dinner, correct? A great idea to give this wedding a unique twist is to serve your guests finger foods and delicious appetizers along with dinner. There are various appetizer ideas and recipes which you can serve as party food, followed by a great dinner. You can have an open bar for them, just like at New Year's parties. You can have a wonderful 3 to 6 tier wedding cake and serve it to your guests as dessert. With such a variety of filing and delicious food, I am sure this party is going to be one hell of a New Year bash. At the stroke of midnight, along with saying 'I do' and kissing the love of your life, make your wedding the best New Year's party your friends and family ever attended. May you have a very Happy New Year and a wonderful married life.